Corpus Christi is a Christian festival where Christians honor the Holy body of the Christ. It is also known as Corpus Domini, which is a Latin term meaning “Body and Blood of Jesus”. The festival is celebrated differently among Christians in different regions of the world. The common component is that bread and wine are usually offered as a symbol of the Body and Blood of Christ in His communion. Corpus Christi is considered as a pubic holiday in some countries such as Brazil and Australia. However, it is mostly implemented by the church, especially the Catholic Church. The Thursday when the festival takes place is referred to as Holy Thursday and is usually celebrated on the Thursday before Good Friday with a preceding Trinity Sunday. Although the festival was first celebrated in the United Kingdom it is not a federal holiday in the region. 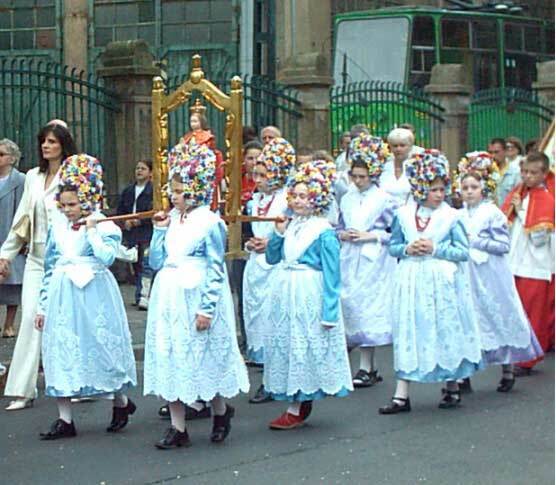 There are several activities that mark the festival and Corpus Christi is celebrated differently. Inside the Catholic religion this festival is celebrated through a procession along streets, usually near the parish. The Chief Priests lead the Mass during this part of the Corpus Christi festival. It should be noted that this festival is not only a Catholic festival, but is celebrated also in the Anglican and some Lutheran Churches. The only difference is the way the whole festival is carried out. In the Catholic faith it is celebrated on the streets and roads around the Parish, while it is a Church event for most of the other participants. Corpus Christi is not necessarily the Holy Communion. However, the Holy Communion marks an important part of the festival. Holy Communion is usually practiced throughout the Catholic church calendar in remembrance of Jesus Christ. In Europe some traditions accompany the Corpus Christi festival. This happens on the streets and then in the Church. This festival also takes place in Brazil, a place known for its massive population of followers of Christ, where there are many colorful costumes accompanied by symbols of Jesus Christ. Whatever way the festival is celebrated, the main objective is to celebrate the suffering, death and resurrection of the Jesus. The principle behind the festival is the Last Supper of Jesus with His Disciples. He said that anyone who believes in Him to do this in remembrance of Him. This festival has been used to fulfill that final wish. However, not all followers of Christ celebrate Corpus Christi, but still participate in Holy Communion to serve the same purpose.